I love cute friendly Halloween activities. 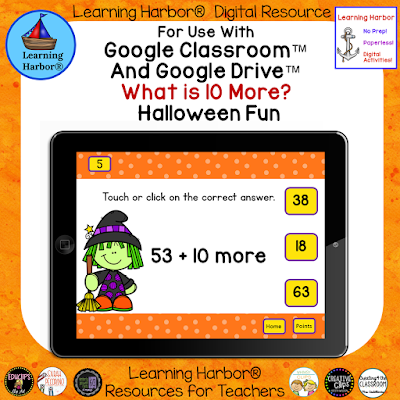 Here is an adding ten more interactive PowerPoint resource with an adorable adorable friendly little witch. Students add 10 to two-digit numbers. Kids will love the cute theme. With this easy to use self-correcting, interactive PowerPoint activity, they will be improving their mental math skills and their computer dexterity at the same time.